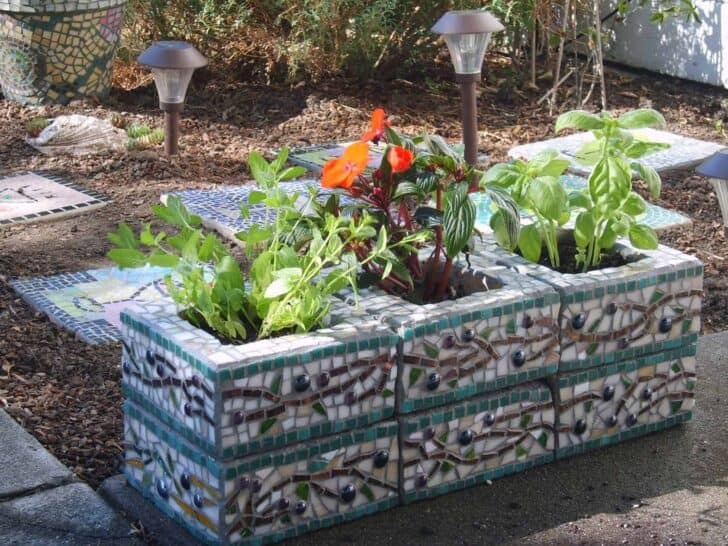 Amazing recycled cinder block planter made from mosaic with olive branch pattern. 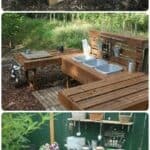 Concrete footing blocks are perfect to make a great little herb garden. The white glass was repurposed from a broken "Tiffany" style glass lamp shade. The olive branch pattern was created from vitreous glass tile, stained glass, and marble gems. Approximate dimensions: Each block is 8" square and 3.5" high. The six blocks stacked together are approximately 24" in length, 8' wide and 7.5" high. 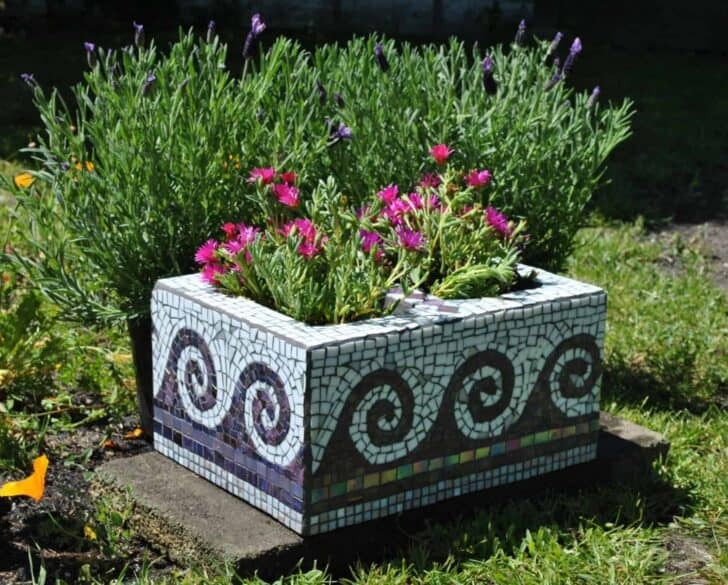 Upcycled mosaic cinder block planter, purple and white wave motif. 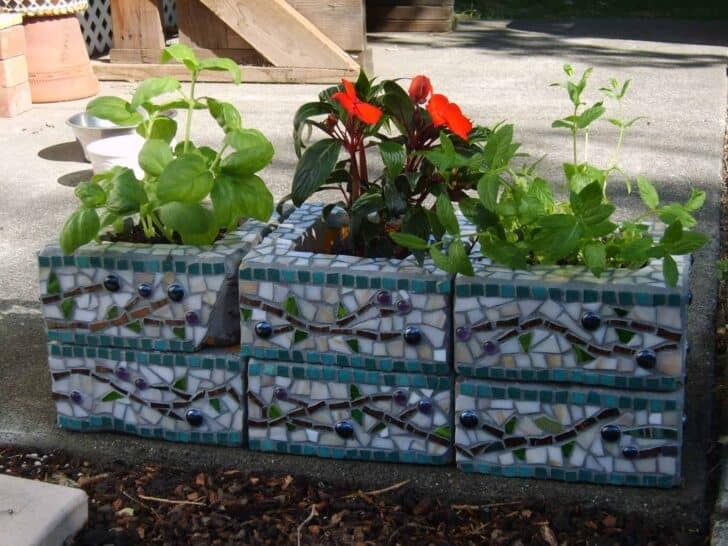 This cinder block mosaic would make a great planter for herbs, succulents or lovely flowers. Approximate Dimensions: 16" long, 12" wide, 8" deep. There are 2 openings for plants that are each 8"x"5.5" and 8" deep. 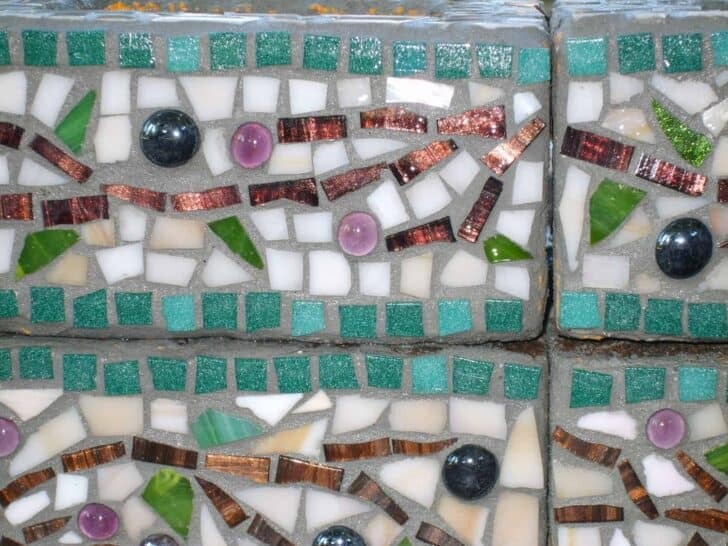 I used a combination of purple vitreous glass tile and white stained glass. 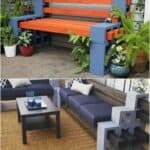 Each piece was hand cut and shaped to fit perfectly. Alternatively, I could make this classic Greco-Roman olive branch design on fiberglass mesh for installation on your kitchen wall, your bathroom wall, your swimming pool or any item for your garden. 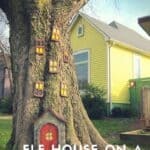 Please contact me if you are interested in a custom designed item. Woah! Those are going to be HEAVY!